A Colorado high school senior was told to remove the American Flag he’s been flying from his car since freshman year or he wouldn’t be able to participate in graduation. 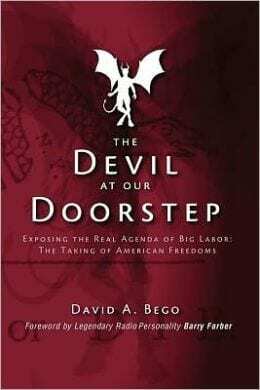 SEIU-slayer David Bego, author of Devil at Our Doorstep, talks 3rd party, conservatives, term limits, free market, and union agendas. The problem is… most of our politicians have not spent much time actually working in the free market. We need term limits in WashDC, then go back to the private sector. Minimum wage is now ZERO dollars. Kiosks will replace most entry level jobs.